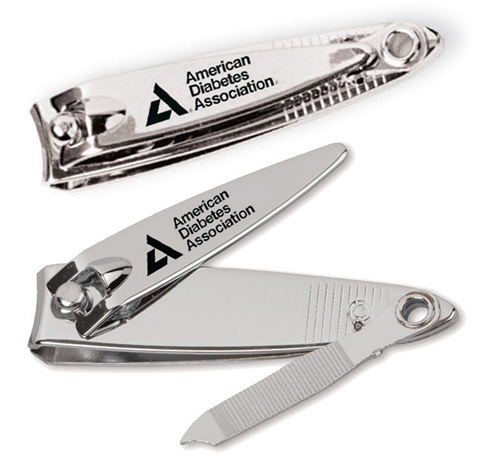 For Item #3027 Nail Clipper inserted in case, add $.10 (G) each. 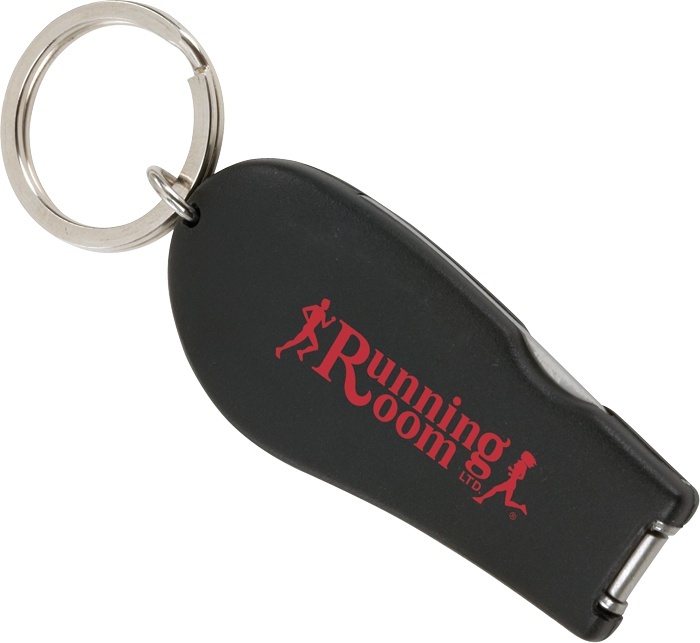 Ideal for those who want to leave a lasting impression on their clients. 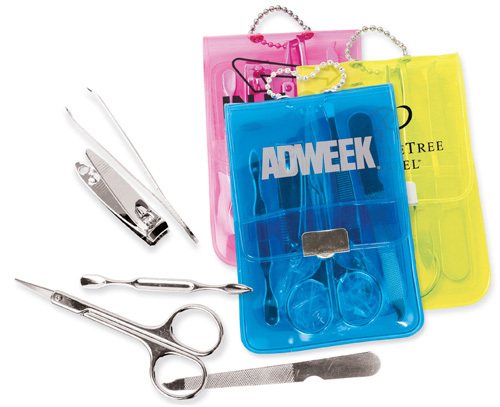 Customize this gift set to create a winning promotion recipients will want to use again and again. 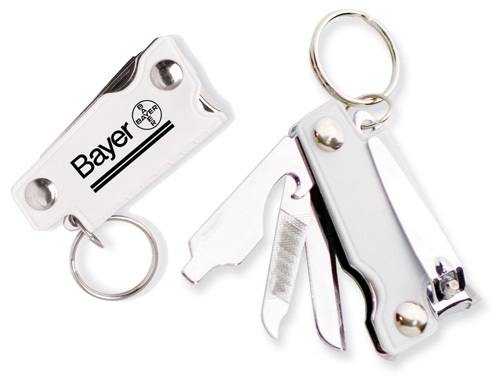 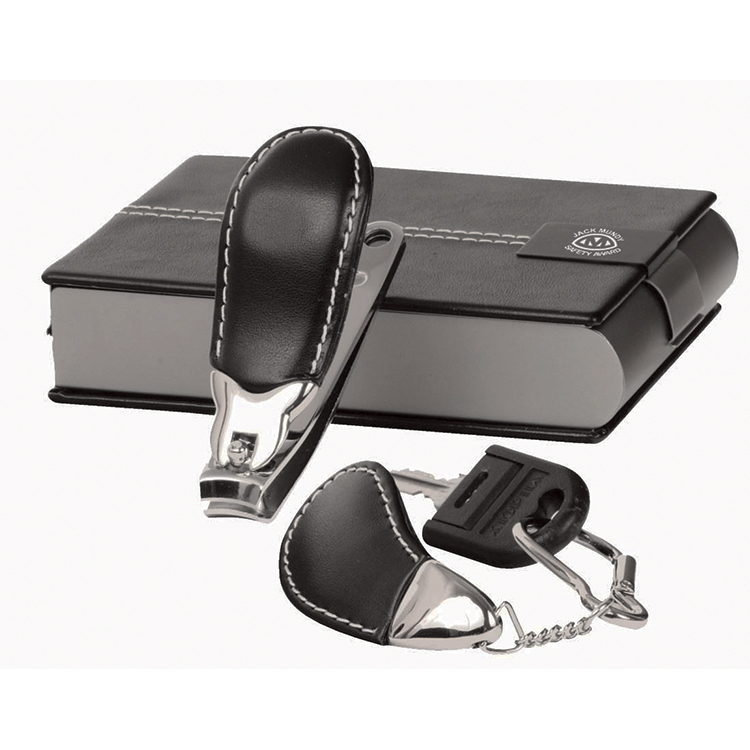 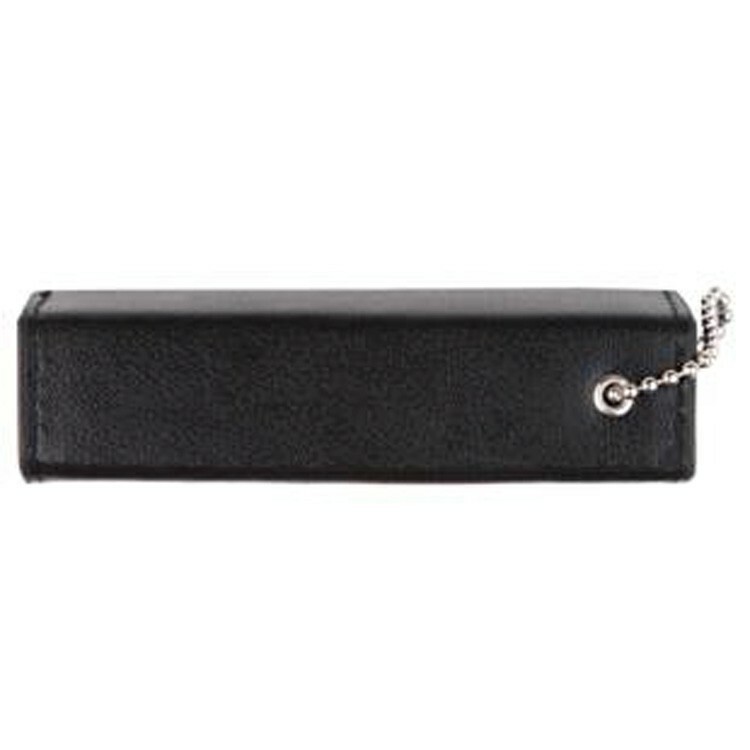 Features include nail clipper, nail file, knife, bottle opener/screwdriver and key ring in a vinyl case. 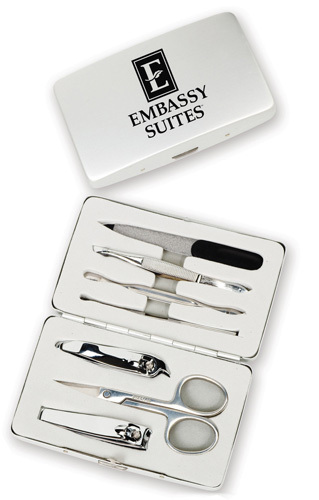 The manicure set includes tweezer, nail clipper, cuticle knife, and cuticle pusher. 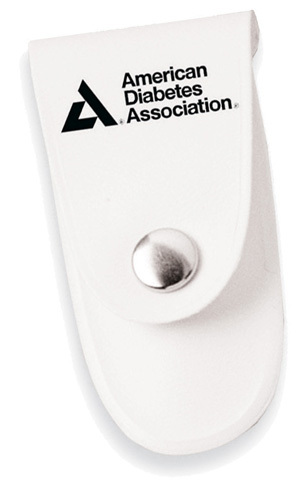 It comes with silver chain.